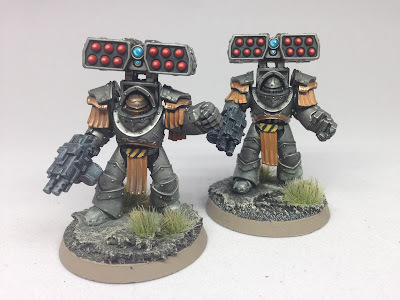 I decided that my Iron Warriors needed a little something something. I previously decided that I didn't want them to have a massive iron skull on their shoulder pad. 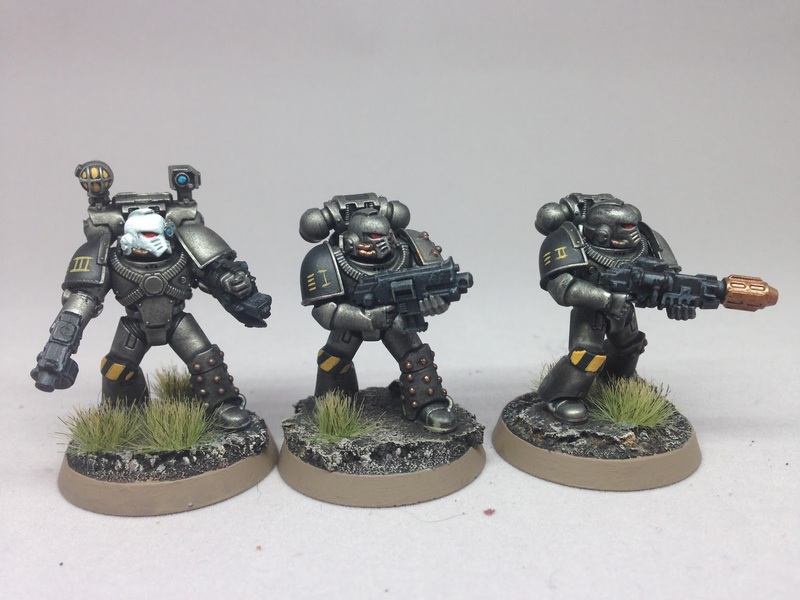 I really like the relatively clean lines of heresy era armour. I don't want to bling them out with all the crap that makes 40k era armour so busy looking. I decided that I'd add a small Roman numeral to designate squad and then a series of stacked horizontal lines to designate individual models. The stacked lines are meant to look like miniature hazard stripes. I like the idea of the Iron Warriors differentiating each other by who has the longest hazard stripes! 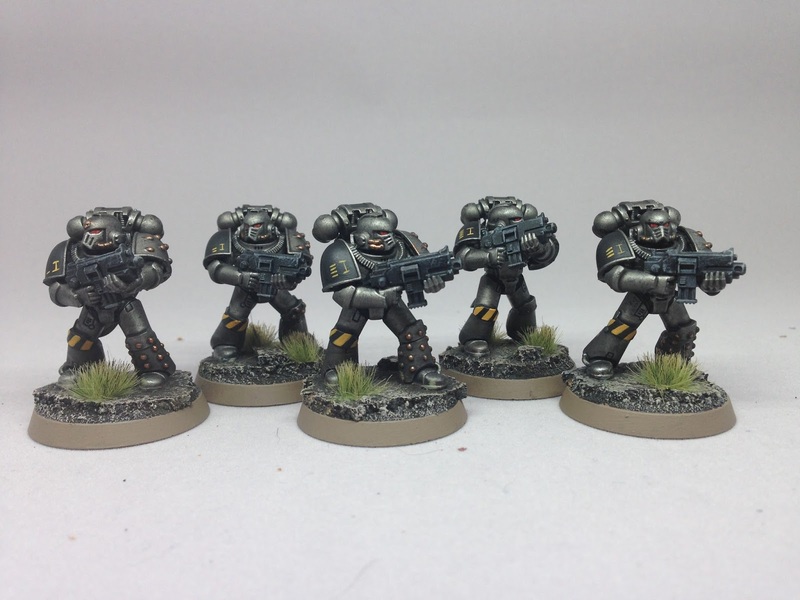 These first guys are all from Squad I. I would designate them I-1, I-2, I-3, I-4 and I-5 on my Kill Teams Force List. Here we have III-3, I-4 and II-3. I added some extra detail work to the Apothecary at the same time. I gave him blue lenses and painted in the yellow light on his backpack. I'm debating doing a blueish heated metal effect on the meltagun. I haven't decided yet. It's a nice effect, but it's something I can do later when I paint the other three meltagun dudes. I want the heated metal effect to be consistent between models in the same squad. Last up is a quick glamour shot of the Siege Tyrants. The guy with the bronze colored helmet is the Master. The other dude is just a dude. I'm thoroughly enjoying having a fully painted kill team. It makes a huge difference when playing a game.